My Take on the “EDGE EFFECT” – Ruth Catchen Reach for the Stars! Recently I listened to renown cellist Yo-Yo Ma give the Nancy Hanks lecture for The Arts and Public Policy at the Kennedy Center. He brought with him some others with whom he performed, all notable and eclectic. Their performances highlighted a concept about which he spoke — The Edge Effect. The Edge Effect is the place where two different ecosystems come together. Where they overlap, there is the most diversity of life and beauty. 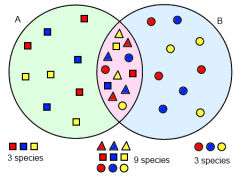 Examples of this diversity are the Amazon Rainforest or the Savannah. Think about where the mountains and ocean meet. You get characteristics of each system as well as unique characteristics to where the two coincide. This analogy to the arts and how it reflects itself in our culture was very vivid. Think about how two styles meet in design, music or visual art and what the outcomes are. 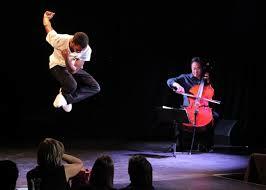 He shows this effect in the eclectic performers he brings as he plays his cello with Lil Buck who does jookin. He speaks about the traits that studies show that employers will be looking for in hiring newcomers to the workforce; those who are collaborative, flexible, imaginative, and innovative. So for the past few weeks, this idea has been roaming through my mind, steeping. The Edge Effect…I finally get it! Yes, Ma talks about STEM into STEAM and the need to bring Arts education to all. He calls it “arts for life’s sake.” He speaks about STEM into STEAM and how important infusing the arts is for education, for our nation’s future. As a well-seasoned, experienced musician who left that world and entered the one of public education, I believe this is my edge effect. I take who I am and what my experiences are and bring it to public education. The best of both worlds will reap great things. I believe it is important to bring the arts to students so they can relate the past to the present. This experience itself is its own edge effect illustrated so well by Ma playing the well-known “The Swan” from Saint-Saens Carnival of the Animals combined with Lil Buck’s jook. It was powerful. Watch the video HERE and HERE. The idea of combining cultures or art forms speaks to me about what the true nature of a STEM education infused with the arts should be. Communication of all types is a critical 21st century skill that STEAM addresses. I never thought of relating the ideas to our world in such a direct way, but it makes so much sense. The idea of an arts infused education where core academics and necessary 21st century skills become practical and obvious is so right. It explains the great things that happen when the disciplines meet. I believe I bring from my performing arts background these very specific skills: aesthetic value, process, discipline, focus and passion, and as a result, communication. I believe the nexus of where I meet education demonstrates these things and teaches. Yes, is it a bit out of the box. That is the good news. If as a society we can collaborate and take the best from all worlds, we can authentically educate our children and prepare them for the future. Instead of adopting a “one size fits all” approach of standardized tests, teaching to those tests and measuring everything from them, we can combine the academic disciplines with the lessons from the arts. Public education needs The Edge Effect.